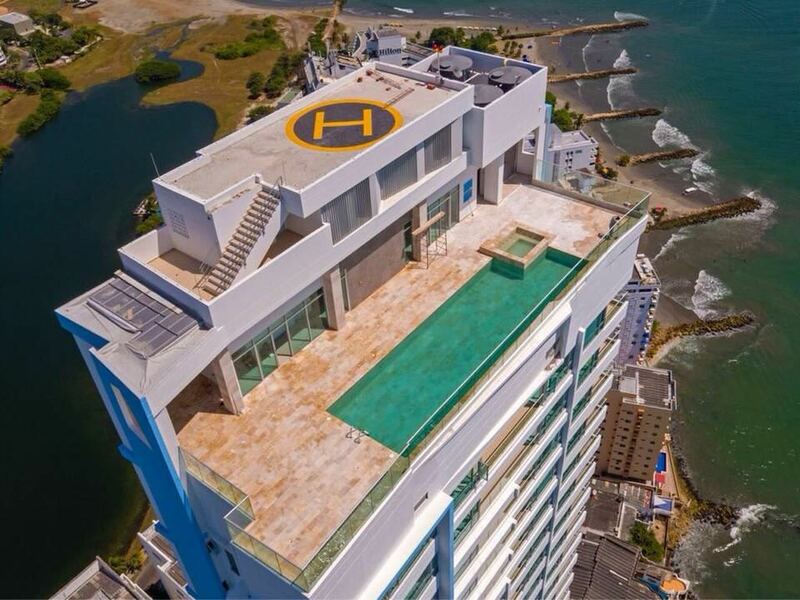 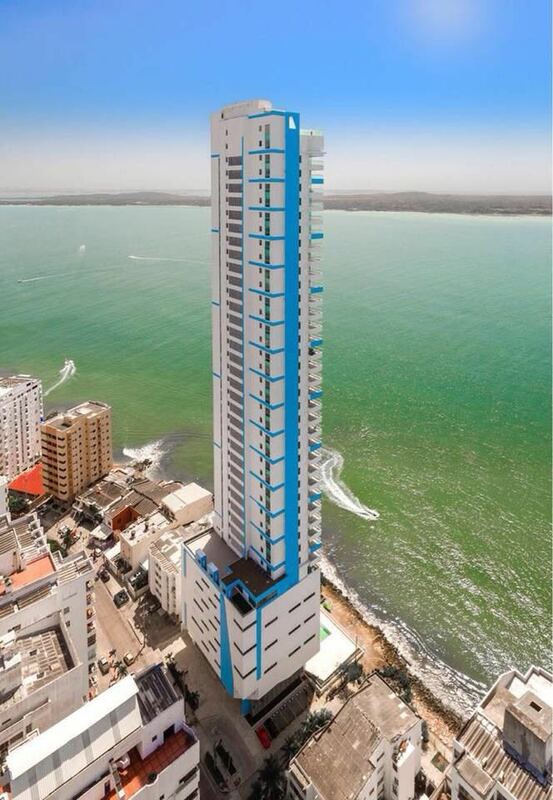 Colombia, in Cartagena in the Laguito area, for sale spectacular apartment, on the 33rd floor, with marvelous panoramic view at 270 ° on the sea and beaches of the Caribbean, two terraces, two swimming pools one of them on the top floor, barbecue, equipped gym, garage, turkish bath and condominium events room. 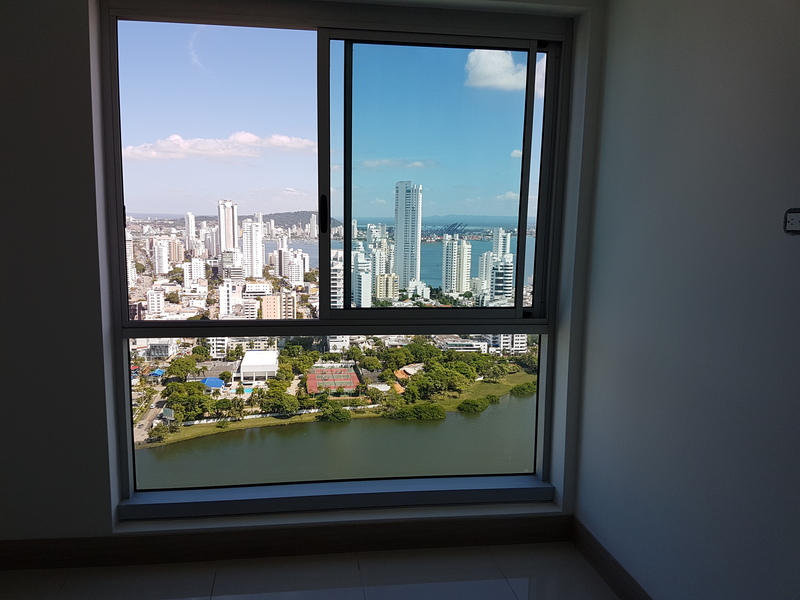 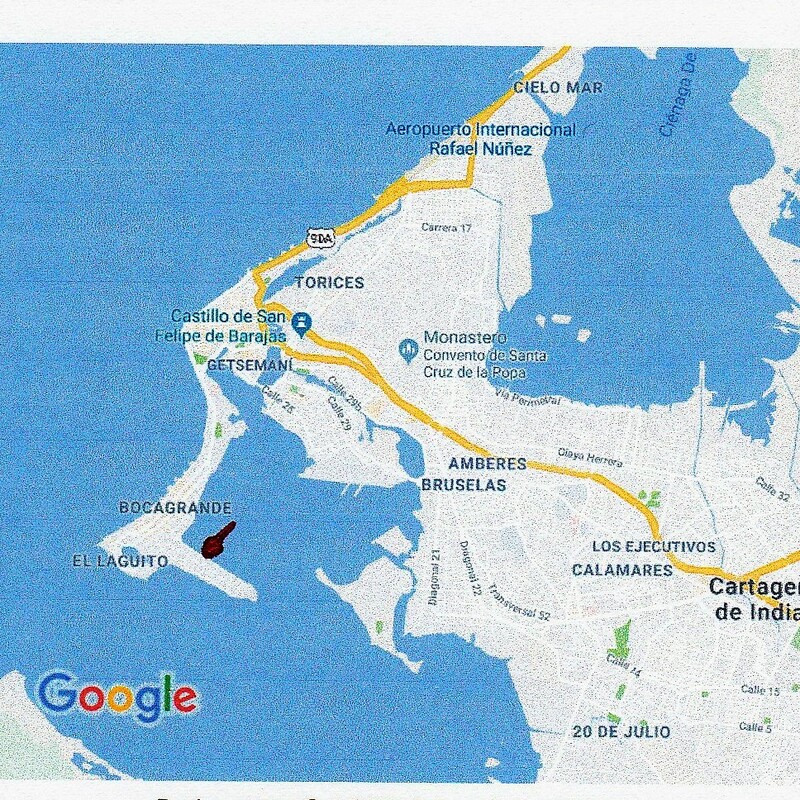 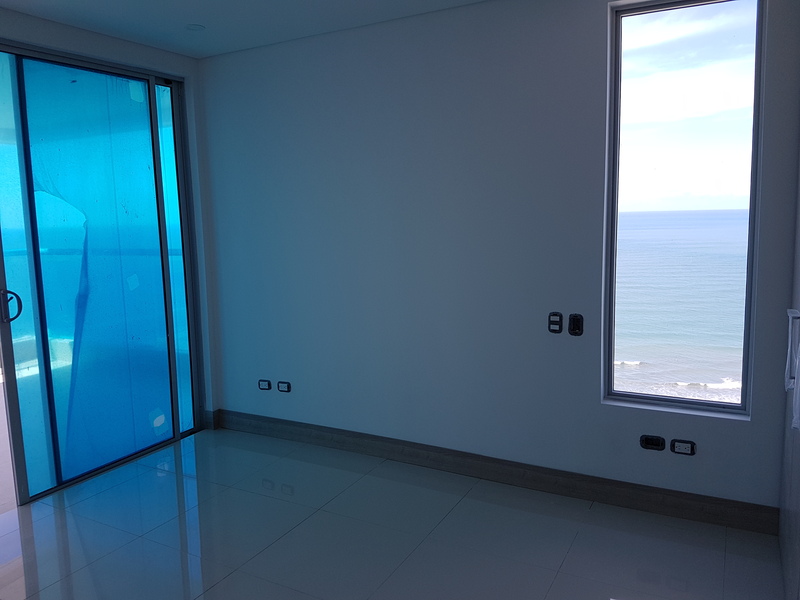 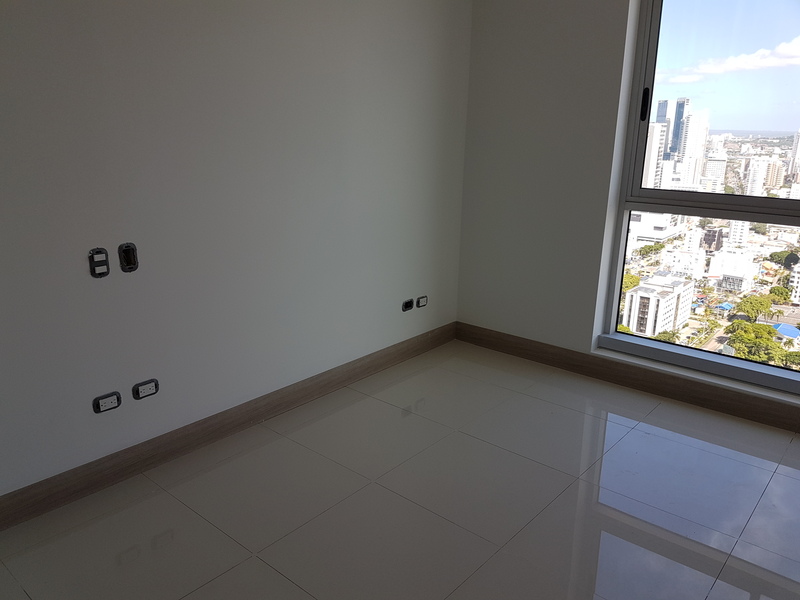 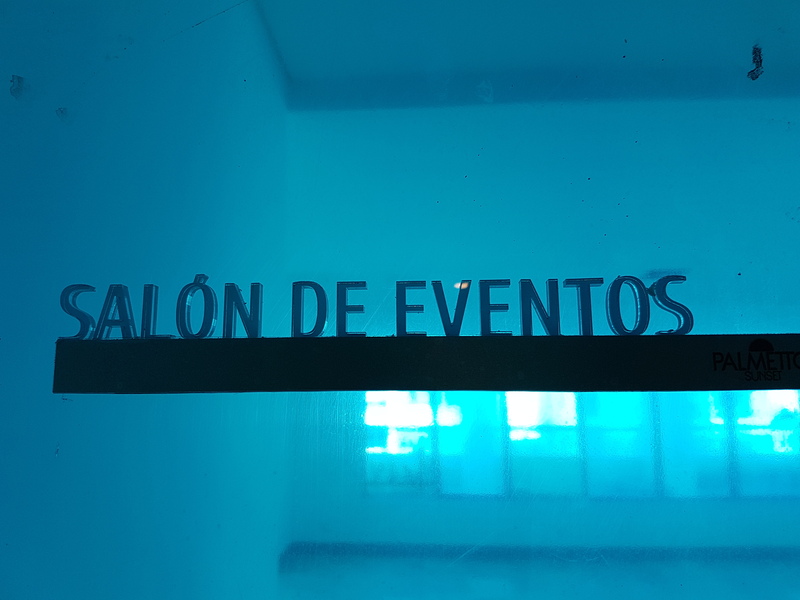 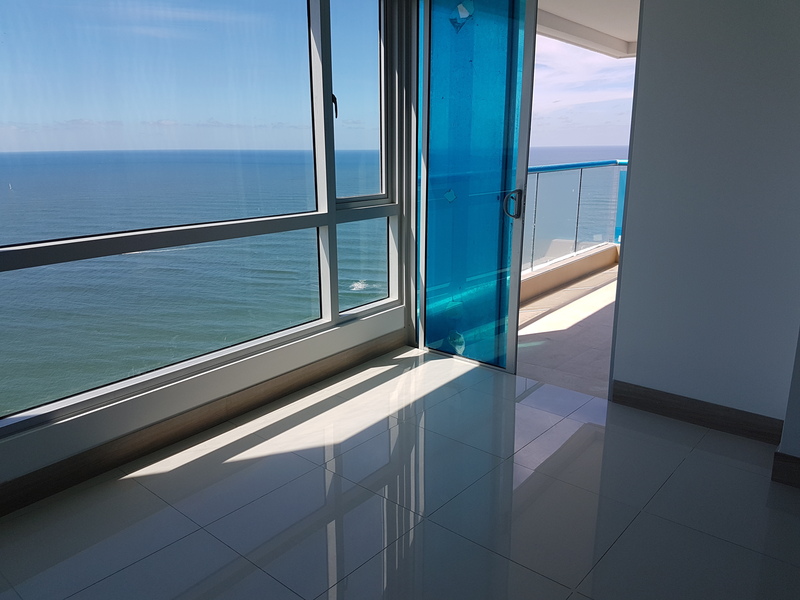 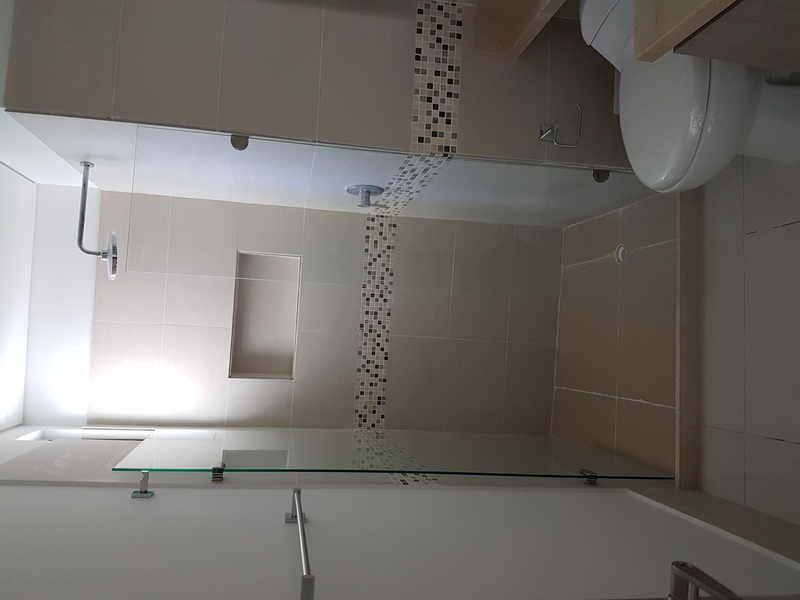 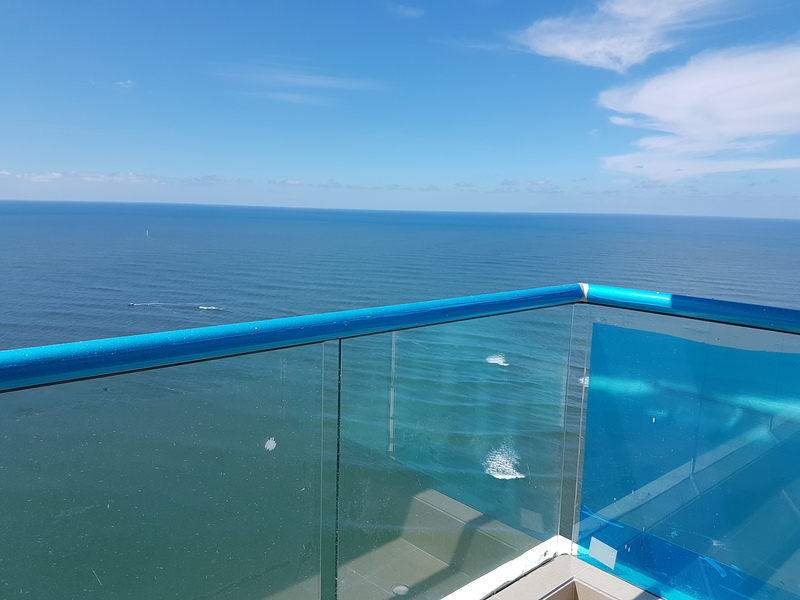 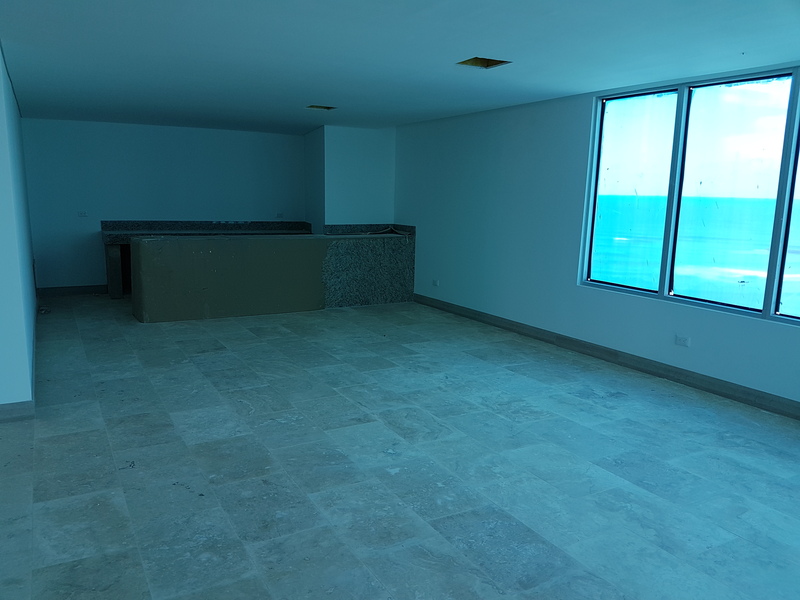 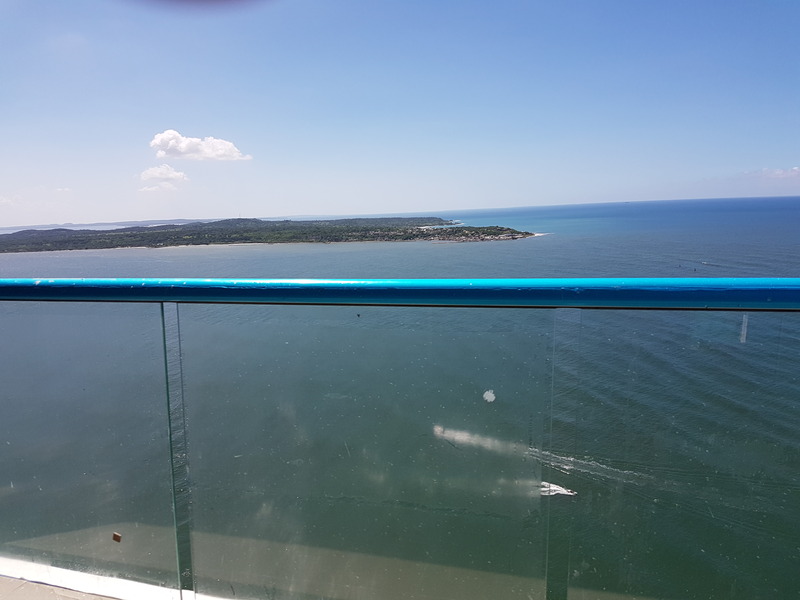 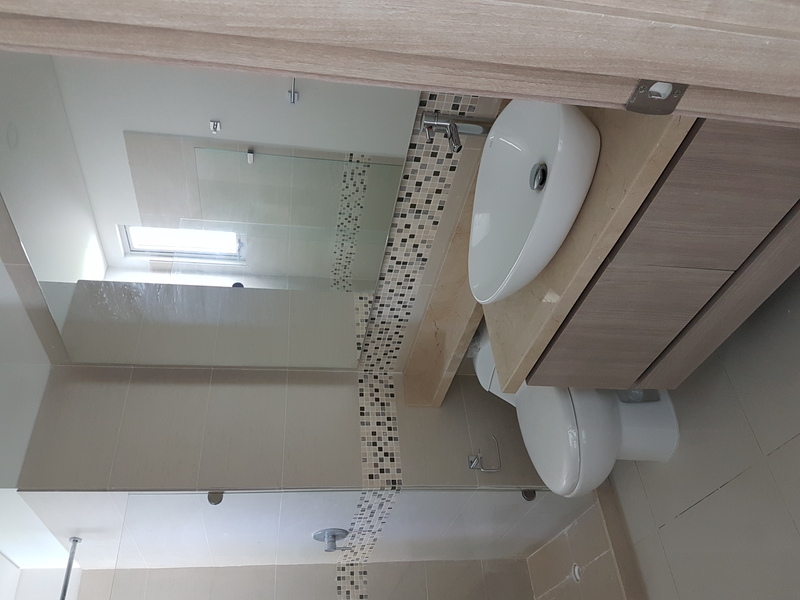 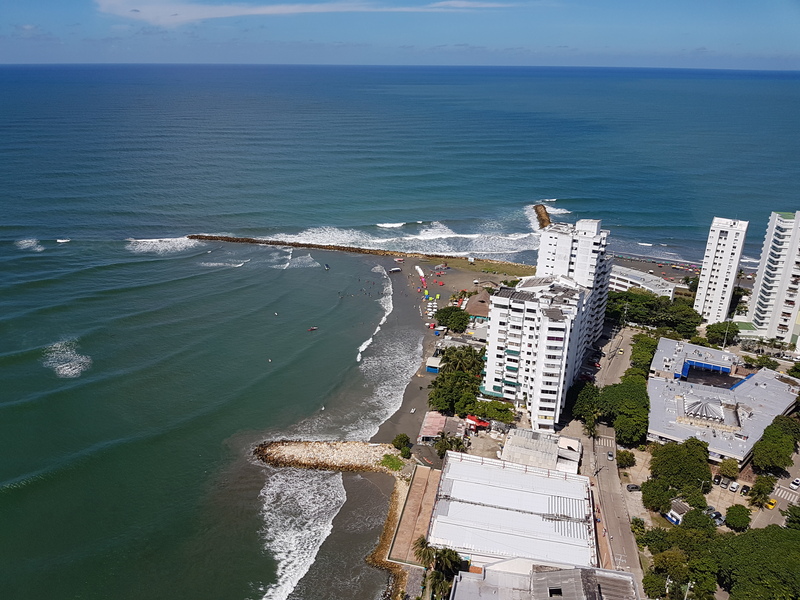 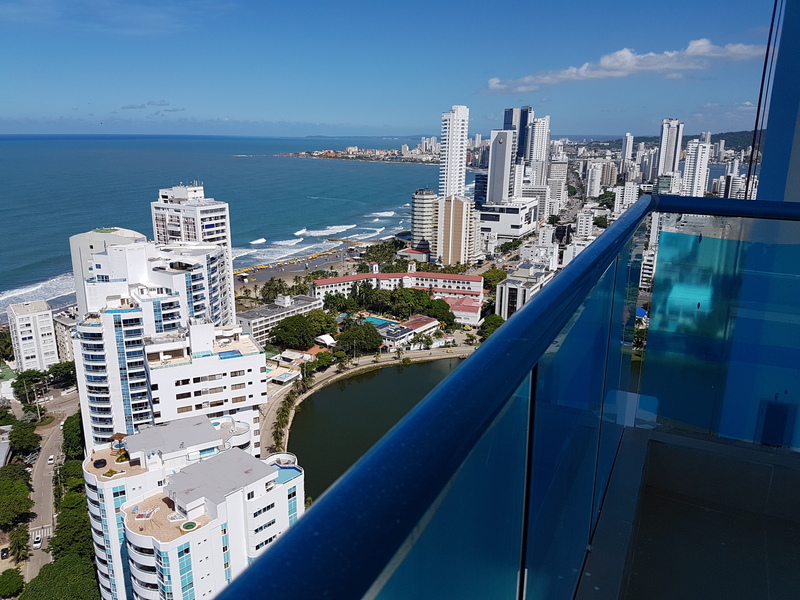 The grattaccielo is located on a strip of land directly on the sea, in an exclusive area with services nearby and a few kilometers from Rafael Núñez International Airport. 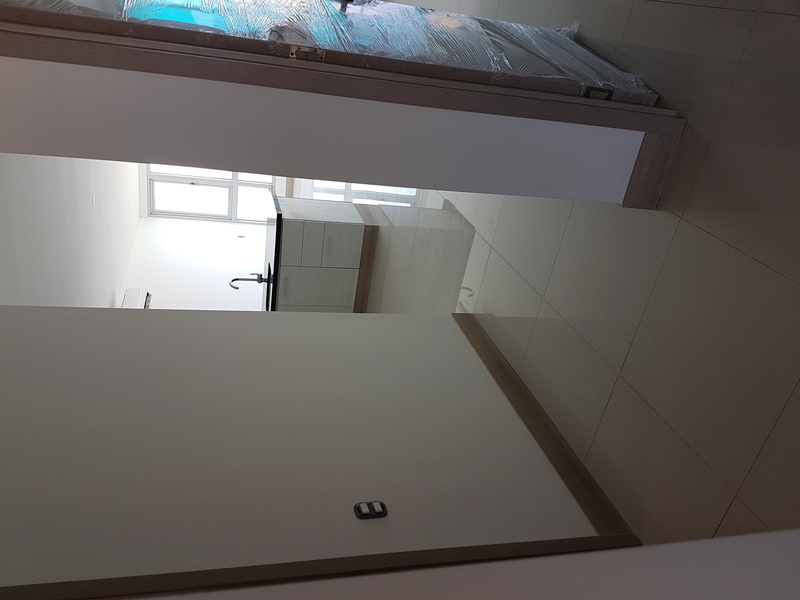 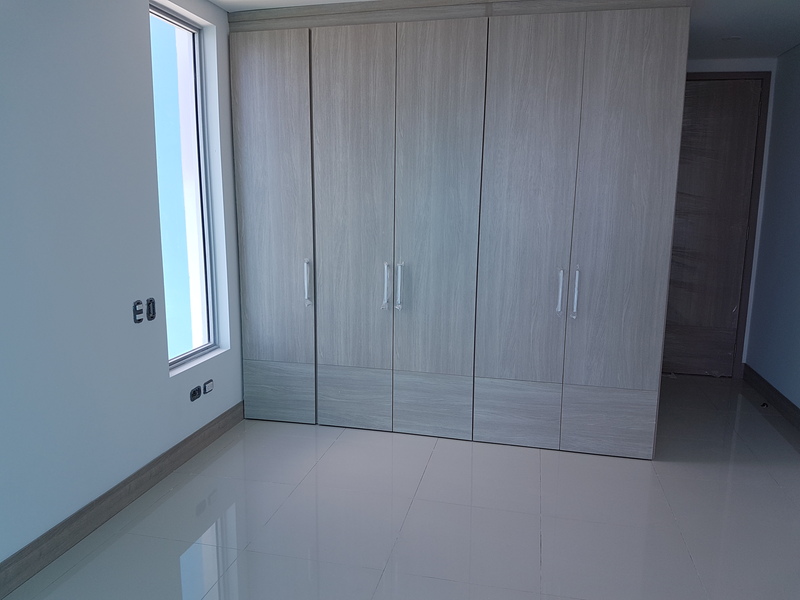 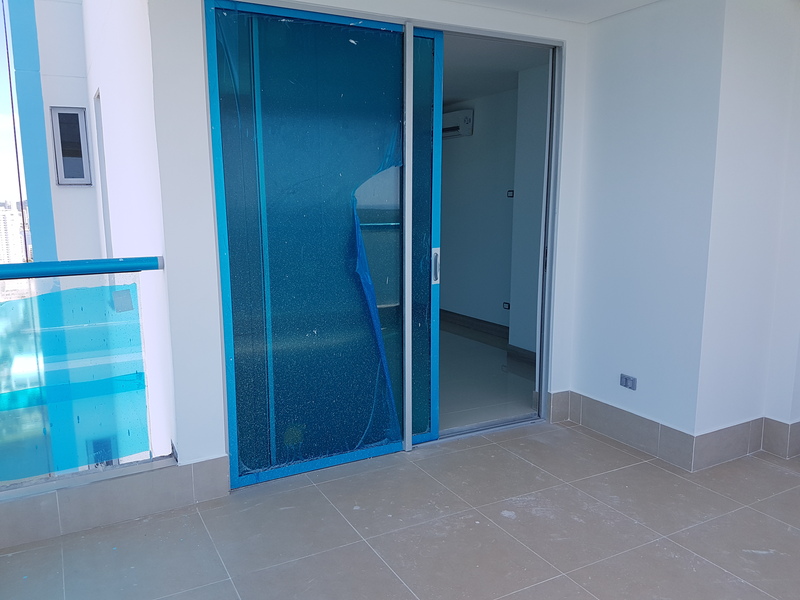 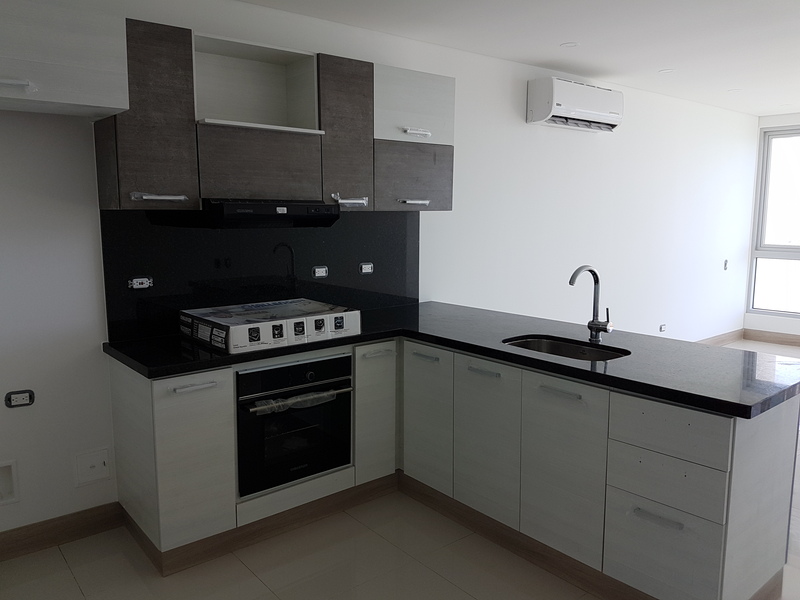 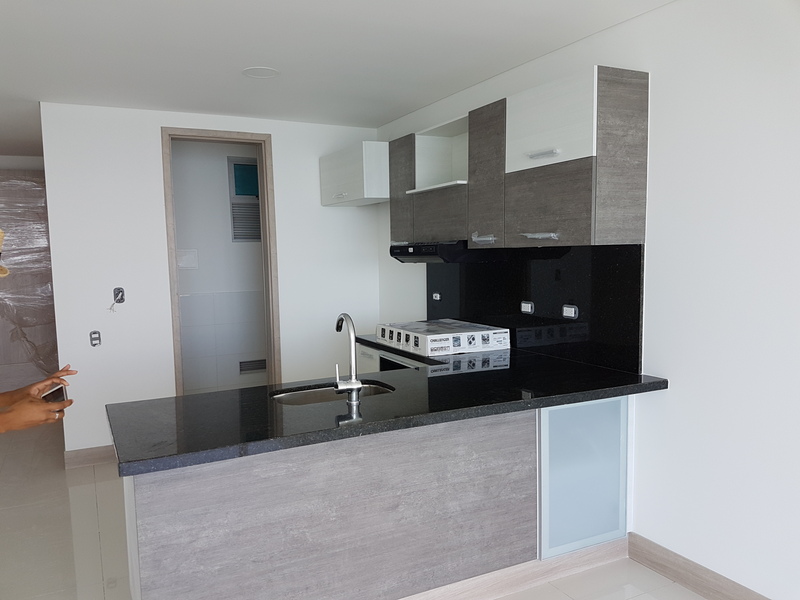 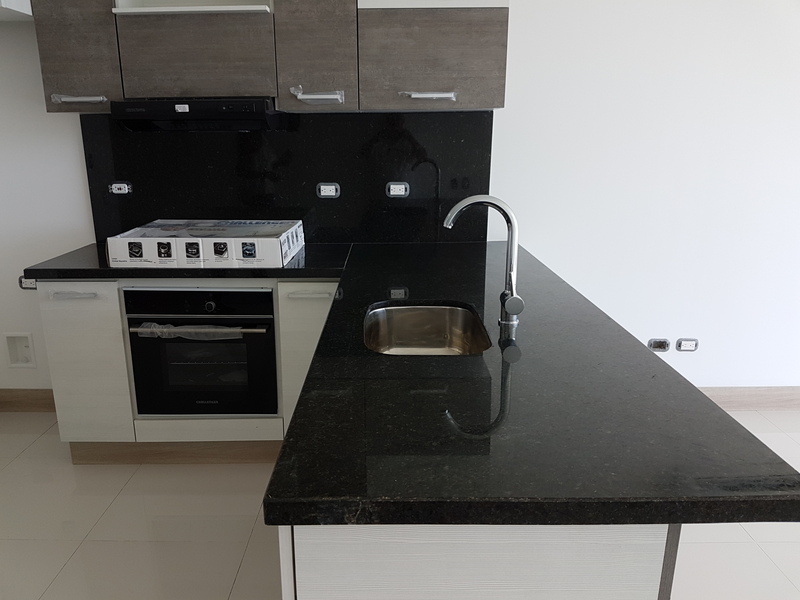 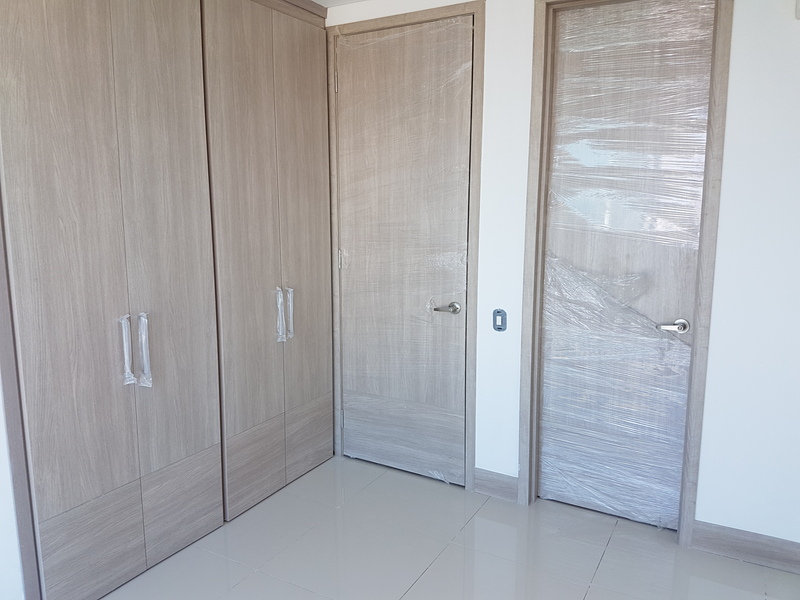 The apartment, newly built, consists of an open-plan kitchen equipped with all comforts, 2 bedrooms with built-in wardrobes with sea views, 2 bathrooms, entrance and hallway space. 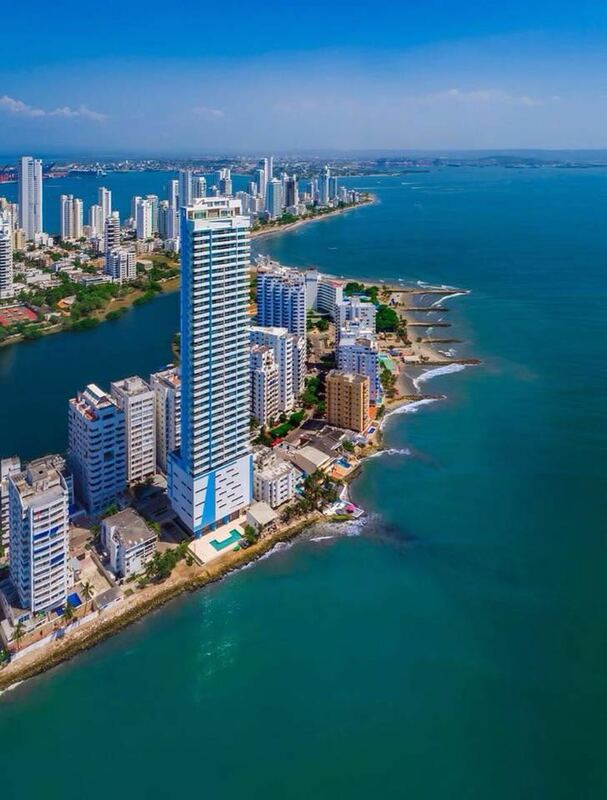 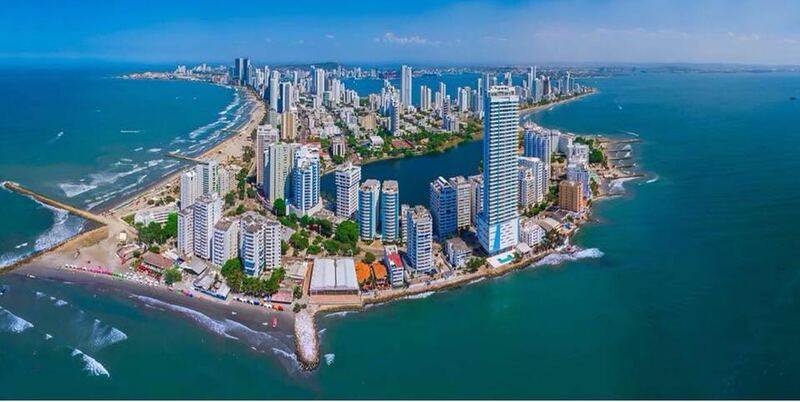 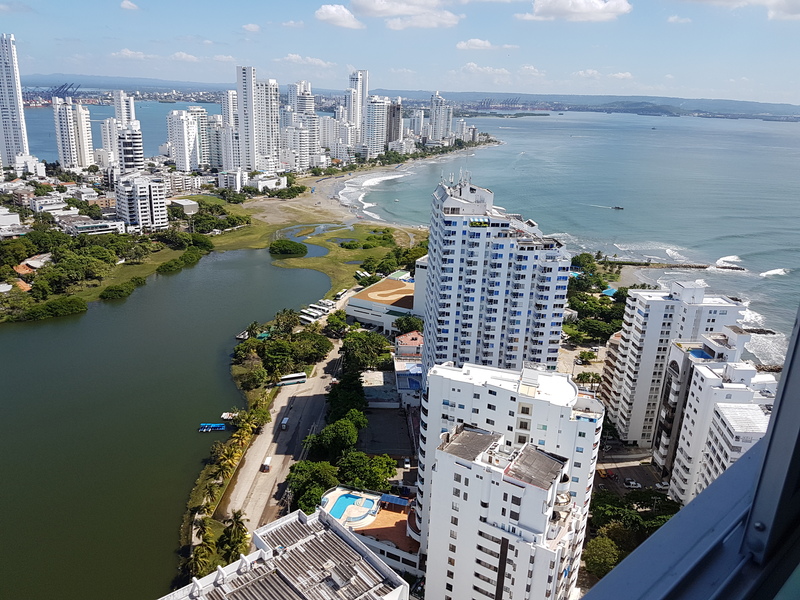 Among the wonders of Cartagena above all the Caribbean beaches of incredible beauty and the paradisiacal islands of the Rosary, then the forts and castles like the squares, the alleys, bougainvillea plants that beautifully decorate the balconies, all in Spanish style architecture. 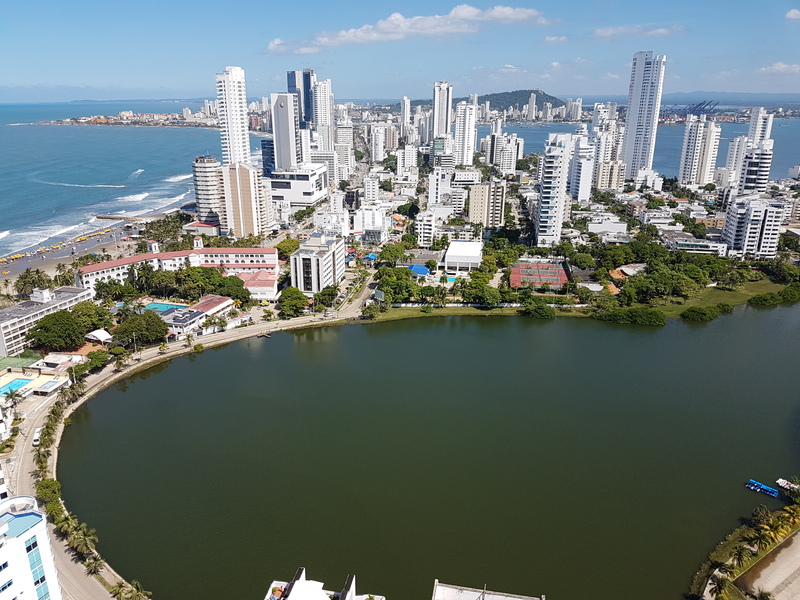 The picturesque bars scattered around every corner and the churches, the hospitable and lovable people, typically South American, will brighten your stays in this corner of paradise, which in combination with a climate with an average temperature of 28 ° will lengthen your life .